Your student will receive a copy of this flyer at school. On behalf of the Louisiana Office of Public Health Immunization program, the Department of Education requested that schools share the Flu Facts and HPV Fact Sheet with parents. Both documents contain information regarding the dangers of the flu and HPV, how students, parents, and school staff can practice prevention, and the importance of vaccination. The 2018-2019 Avoyelles Parish documents and forms can be found under Parent Resources. ensure your child is on track throughout the school year, and what resources are available to support learning at home. APSB 2018-2019 School Supply Lists Now available! The 2018-2019 school supply lists are now available under the tab STUDENTS& FAMILIES/parent resources. The Avoyelles Parish School Board's 2018-2019 school calendar was adopted by the board on March 6, 2018. Please see the attached calendar for next school year. The Avoyelles Parish School Board will begin accepting applications for Majority to Minority transfers beginning April 2, 2018. The deadline for submitting your child’s application will be June 1, 2018. 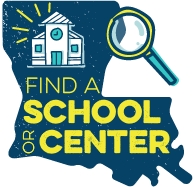 Applications may be obtained from any elementary or high school in the parish, the APSB Central Office or downloaded from the APSB website (www.avoyellespsb.com) beginning April 2, 2018. No applications will be accepted after the deadline of 3:00 pm on June 1, 2018. To qualify, the student’s race must be in the majority at the home zoned school and in the minority at requested school. For more information, you may contact the Avoyelles Parish School Board Central Office at 253-5982. Attached is the press release with timelines for all students interested in applying for the 2018-2019 school year. In some States, police departments may also receive reports of child abuse or neglect. For more information or assistance with reporting, please call Childhelp USA ®, 800-4-A-CHILD (800-422-4453), or your local CPS agency. The Louisiana School for the Agricultural Sciences will be holding recruitment activities.